Administrative Law Judge (ALJ) Susan Ruff, Office of Administrative Hearings (OAH), State of California, heard this matter in San Diego, California, on September 21 – 25, 2009. David Grey, Esq., represented Student and her parents (Student). Student’s parents were present during the hearing. Student was present for part of the hearing and testified on her own behalf. 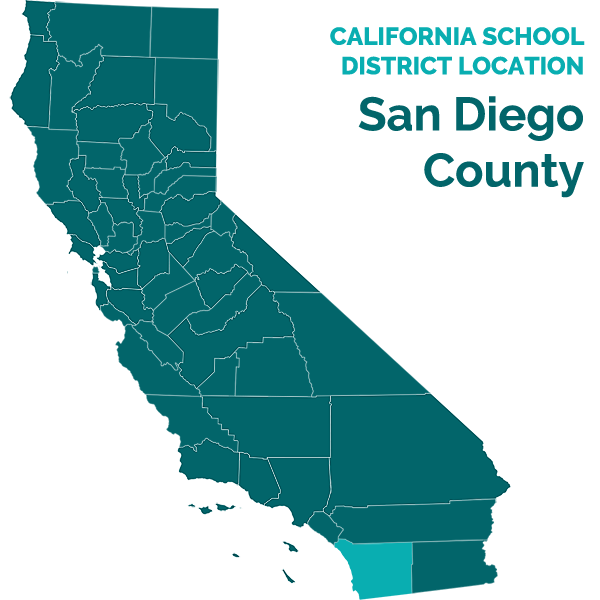 Justin Shinnefield, Esq., represented the Poway Unified School District (District). Theresa Kurtz and Emily Shieh also appeared on behalf of the District at various times during the hearing. 1 Student’s written closing argument has been marked as Exhibit S-19, and the District’s written closing argument has been marked as Exhibit D-18. During the hearing, Student requested that the ALJ take official notice of the due process request filed by the District in OAH case number 2009090686. That request was granted. The due process request in case number 2009090686 was marked as Exhibit S-18. Did the District deny Student a free appropriate public education (FAPE) by failing to consider and provide for computer assisted real time captioning (CART)2 as an educational service for Student in the April 20, 2009 individualized education program (IEP)? 1. Student is a 13-year-old who lives within the jurisdiction of the District. She has moderate to profound hearing loss in both ears. She wears a hearing aid in her left ear and a cochlear implant in her right ear. 2. A hearing aid is a sophisticated sound amplification system. Because of digital technology, the device can be adjusted to amplify certain types of sound and not others. 3. A cochlear implant is an electronic device, part of which is surgically implanted in the head of the deaf individual. Sound is picked up by an external processor, converted to energy and sent into the implanted computer chip. Based on the energy received, the device stimulates the nerves in the inner ear, which then transmit information to the brain. Unlike a hearing aid, the cochlear implant stimulates the ear itself; it does not merely make the sounds louder. 4. A cochlear implant must be “mapped.” Mapping refers to the process of adjusting the computer information to tell the implant how to fire the electronic impulses. Mapping is specific to the individual who wears the implant and must be adjusted periodically. 5. Student was fitted for a cochlear implant in her right ear when she was in the second grade. She is considered an auditory-oral pupil, who relies on speech and listening for her method of communication rather than another mode of communication such as sign language. 6. Student has some ability to hear low to mid-frequency sounds in her left ear. Her hearing aid is programmed only to amplify those sounds. Her cochlear implant enables her to hear both high frequency and low frequency sounds. 7. When Student was originally fitted for the cochlear implant, she could have had implants in both ears. However, because she had some hearing in her left ear, her parents preferred not to implant that ear. The surgical procedure involved in placing an implant destroys whatever natural hearing might exist in the implanted ear. Student’s parents felt that allowing Student to retain some hearing in her left ear would assist her when she was engaging in activities that would not permit the use of the implant, such as swimming. 2 The Code of Federal Regulations defines “CART” as “communication access real-time translation.” (34 C.F.R. § 300.34(c)(4).) For purposes of this case, the system described in the federal regulation appears to be the same system as the one Student describes and the term “CART” will be used in this Decision to refer to both. 8. Student has attended general education classes along with her typically developing peers during the times at issue in this case. At the time of the April 2009 IEP team meeting, she was attending middle school and was in the seventh grade. 9. Student is an outstanding pupil and received almost straight A’s in her academic classes during her seventh grade year.3 The few B’s that she received were in subjects such as physical education and associated student body (ASB). Student is highly intelligent, a good reader, a hard worker and an active participant in her middle school classes. Although she did not win the elections for ASB officer, she ran for office, made a speech, and was chosen as an alternate. She currently participates in the ASB class and helps to organize events for her fellow students such as dances. 10. Student’s results on state academic testing match her high classroom achievement. For example, she received scores in the advanced range in both math and language arts in her sixth grade STAR testing. 11. However, Student is not without challenges and difficulties created by her disability. Although Student’s ability to hear sounds is greatly enhanced by her hearing aid and cochlear implant, there is no dispute that Student does not hear as well as a typically developing pupil. Student requires accommodations such as preferential seating in class and an FM amplification system in order to access the general education curriculum. The hearing aid and implant do not filter out competing sounds as well as the ears of a typical pupil, making it more difficult for Student to hear in a noisy classroom. Student tends to speak softly and has some difficulty with mumbling and articulation of certain final consonant sounds. Her parents are concerned that her disability has isolated her from her peers to a certain extent. 12. Student’s IEP accommodations provide for an FM amplification system to assist Student in class. A teacher using this system wears a microphone when speaking to the class. The microphone works in connection with an amplification system in Student’s hearing aid and cochlear implant to amplify the teacher’s voice. The system is designed to bring the teacher’s voice “closer” to Student, so Student will hear the teacher as if the teacher was speaking six inches away from Student. Student’s cochlear implant also contains an environmental microphone to help Student hear the sounds around her, such as comments by other children. 13. In order to assist Student in class, the teachers also use a pass-around microphone during class discussions so Student can hear the contributions of her fellow pupils. In addition, most of Student’s teachers repeat back questions and comments made by other pupils so that Student will know what is being discussed in class. Whenever the class watches a video, the teachers make certain there is close captioning for Student. 3 The teachers who testified at hearing indicated that Student is still maintaining her excellent grades in their eighth grade classes. 14. The parties dispute how much Student is able to hear around her during class. Although many of Student’s teachers testified that they were conscientious about using the pass-around microphone during class discussions, not all of them used it or used it consistently. 15. In addition, the teachers do not always repeat back exactly word-for-word what the other pupils in class say. For example, if a pupil uses incorrect grammar in a question or comment, the language arts teacher would repeat it back with correct grammar in order to model the correct language usage for the class. In addition, the teachers do not repeat things such as disparaging comments made by one pupil about another pupil. 16. Student’s teachers believe that Student is able to hear much of what goes on around her in class. During their testimony, the teachers described situations in which Student would raise her hand to give a correct answer after one of her fellow classmates had given an incorrect answer. Helen Williams, a program specialist for the District who conducted an observation in Student’s classroom, described an occasion during the observation in which Student turned around to talk to the pupil behind her after that pupil made a comment. 17. Gwen Suennen, an itinerant deaf/hard of hearing (DHH) teacher for the District, has seen Student turn around to look when a pupil asked a question behind her in class. She said that Student looked immediately at the speaker and then turned her gaze right back to the teacher. Suennen testified that Student was attentive and focused in class, not distracted. Suennen has also observed Student communicating with others, even in noisy environments such as hallways and in the school lunch area. 18. Nancy Simpson, another itinerant DHH teacher for the District who has worked at various times with Student over the years, testified that she has seen Student participate in a variety of social activities, including meeting and socializing with friends and attending a school-based retreat. In her opinion, Student is a happy, well adjusted young lady who is enjoying school both academically and socially. 19. Student’s seventh grade science teacher Bruce May testified that he suspected Student missed words or sentences that were spoken in class, but his opinion was based on the fact that Student had a hearing disability; he could not recall any specific instances in which she did not hear what was said during a class discussion. 20. All the teachers agreed that Student is an active participant in class discussions. Janet Van Horne, a District resource program specialist who is currently Student’s home room teacher and co-taught Student’s seventh grade language arts class, described an occasion in which Student was the narrator when the class was reading through a play. Of the 30 times in the play in which the Student was required to receive a cue from another speaker in order to read the narrator’s part, Student only missed three cues. Student’s current history teacher described a class discussion regarding log cabins the day before the hearing in which Student participated and discussed a vacation her family took in which they stayed in a cabin. Student’s current language arts teacher described Student as an eager class participant who always raises her hand to respond when the other pupils do. Student’s seventh grade science teacher reported that Student sat in the front row and was an active participant in class. Simpson reported that she observed Student raising her hand in class and answering questions correctly. 21. Student’s experts disagree that Student hears everything going on around her in class. Instead, they believe that Student misses much of what is said around her by other pupils. Joan Hewitt, an audiologist who has been working with Student for many years, conducted her most recent audiological evaluation of Student on April 1, 2009. Hewitt conducts these examinations periodically to determine how to remap Student’s cochlear implant. 22. Hewitt conducted several tests of Student’s hearing, including tests of how well Student heard in the ear with the cochlear implant and tests to evaluate her hearing in her left ear with and without the hearing aid. The test results indicated that, even with the hearing aid and cochlear implant, Student did not hear every word that was spoken at a conversational speaking level. For example, on one of the tests, Student heard only about 72 percent of the words spoken at a conversational level in a quiet environment. Hewitt believes that if Student was sitting at a distance away from a speaker in a classroom without any amplification, Student would miss some of what was said. If there was background noise competing with the speaker, Student would also miss some of what was said. In addition, because the hearing aid and implant provide different sound information, Student might have difficulty locating a speaker. 23. Hewitt explained that if the teacher used an FM system in class, Student would be able to hear what the teacher was saying. If there was a pass-around microphone, the other pupils would need to use it in order for Student to hear what was said in class. If the teacher and pupils were talking at the same time, Student would hear what the teacher was saying, but not the others. 24. Student’s main expert Jacqueline Solorzano is a DHH teacher who is certified as an auditory verbal therapist. She is also the mother of two children with cochlear implants who have used CART services. Based on an in-class observation of Student on September 11, 2009, she believes that Student misses much of what is said around her in class. During her observation Solorzano watched Student working in a small group with other children on a project. She did not see the other pupils in Student’s group using the FM system, but the teacher was using it as he talked to other groups. Solorzano felt this could cause confusion for Student. Solorzano also reported that the classroom was noisy. 25. Solorzano described several things she observed that led her to believe Student did not hear things said around her. For example, Solorzano saw Student turn to face a peer when a different child was speaking. She also saw Student looking around at her peers to determine what she was supposed to be doing. This is a strategy used by deaf individuals when they miss what is said.4 She testified that she saw Student laugh a few seconds after everyone else was laughing. At times, deaf children will laugh even if they did not hear a joke, just because they do not want to seem different from everyone else who is laughing. 26. After her observation, Solorzano questioned Student about what was said in class and learned that Student had missed part of what the teacher said about an assignment. Student heard the teacher say that a project would be due the following Tuesday, but did not hear the teacher’s follow-up comment that the class would have 20 more minutes of class time on the due date to work on it. 27. Student’s mother also believes that Student misses part of what was said in class by other pupils. She explained that Student misses what is said during conversations at home at the dinner table. Student asks her family to repeat a lot of what is said. 28. The evidence supports a finding that Student does not hear every word spoken by every other pupil in her classes each day. However, the evidence supports a finding that she hears enough of what her teachers and fellow pupils say in class to allow her to access the general education curriculum and be an active participant in her class discussions. Student’s high intellect and excellent verbal skills have enabled her to compensate for any words she might not hear in class. 29. In the April 20, 2009 IEP, the District made the following offer: General education placement with specialized academic instruction/consultation with the resource specialist, DHH services, audiological services once per year, speech language services, and extended school year services. The assistive technology devices included but were not limited to an FM amplification system for classroom and school assemblies, pass-around microphone, and close captioned access during class videos. The communication strategies, accommodations and modifications called for in the IEP included, but were not limited to, written directions, access to copies of peer notes, consistent home/school communication, access to quiet work environment, classroom door closed to eliminate noise, teachers repeating/rephrasing other students’ responses, extra time for some assignments, and preferential seating. 30. Student’s parents believe that in addition to the services and accommodations offered in the April 2009 IEP, Student also requires CART services in class. A CART system relies upon an individual who has been trained as a court reporter to take down a verbatim transcription of everything said in the classroom using the same type of stenographic keyboard used by a court reporter. That transcription is transmitted simultaneously to a laptop computer used by the pupil, allowing the pupil to have a “realtime” captioning of the words spoken in class. Although CART stenographers are trained as court reporters, they are not required to be licensed as court reporters. 4 During her testimony, Hewitt described strategies that DHH pupils such as Student use to fill in the gaps for any words they miss in class. They may use context to determine a missing word or watch which page of a book their peers are reading. They may read lips or use knowledge gained from reading to fill in any missing words. 31. CART services are often provided for DHH students in college, and they are used at conferences in which DHH adults are participants. Sandy Eisenberg, the chief executive officer of a company that provides CART services, believes that CART allows a deaf pupil to get virtually the same information in class that typically developing pupils get. The service can also provide a set of printed notes for the pupil of what occurred in the classroom. 33. Student’s parents first considered CART services when Student was in the fourth grade. Student had been using video captioning at home for viewing television ever since she could read. The parents decided not to request CART when Student was in elementary school because they did not think it was necessary in a teacher-directed elementary school classroom. 34. At some point before the April 2009 IEP meeting, the parents began considering CART for Student’s use in middle school. They met with other parents who had children with cochlear implants attending school in the District. That meeting helped to refine their thoughts regarding what Student was missing in classroom discussions and the need for CART services. The families arranged a meeting with the District to discuss setting up a CART program in the District. Student’s mother did a lot of research about CART and other transcription methodologies. She reviewed information on the internet and contacted companies that provide CART services. She put together a packet of materials regarding CART, and provided that packet to various District staff members (including some of Student’s IEP team members) prior to the April 2009 IEP meeting. 5 Much of the testimony and evidence during the September 21 – 25, 2009 hearing involved the dispute over whether other types of transcription services are as good as CART. As discussed in Factual Finding 53 below, in August 2009, approximately four months after the IEP at issue in this case, the District sent Student a letter offering to provide transcription services through different (and less expensive) types of transcription services. Because the April 2009 IEP offered no transcription services of any type, the evidence related to the various types of transcription services is relevant only in so far as it relates to the appropriate remedy to be awarded if the District denied Student a FAPE in the April 2009 IEP. As discussed in the Legal Conclusions below, there was no denial of FAPE by the District, so there is no need to discuss any other transcription methodologies in this Decision. 35. The packet contained general information regarding CART, such as articles about the service. It did not provide an expert opinion specific to Student. For example, there was no written report of any expert who had assessed Student and determined that the CART services would be necessary for Student’s middle school education. 36. At the April 2009 IEP meeting, the team discussed whether CART was a necessary service for Student. The District IEP team members did not believe CART was educationally necessary for Student. Student was demonstrating progress on her IEP goals, was getting very good grades in her classes, and was scoring well on the state STAR testing. She was accessing and moving through the general education curriculum required in the District schools. The District team members believed that the services and accommodations contained in the IEP were sufficient for her to gain educational benefit. Simpson thought that Student might need CART services in high school, but did not need them in middle school. 37. Student’s parents disagreed with the position of the District IEP team members and asked that CART services be provided for Student. According to the testimony of Van Horne, Student’s parents agreed during the April 2009 IEP meeting that Student was making progress, but the parents believed that Student needed CART in order to have equal access in the classroom. 38. At hearing, Student relied on the testimony of Solorzano and Carren Stika to show that the CART services were necessary for Student. Stika was the psychologist who conducted the last triennial assessment of Student in March and April 2007, when Student was in the fifth grade. Stika testified that she felt CART would be appropriate for Student, and that CART services could assist Student with incidental learning in the classroom. 39. Solorzano also testified in favor of Student receiving CART services. She reviewed Student’s IEP goals from her last three IEPs and opined that CART could help Student achieve three of the goals in her IEP, including the goals related to articulation, mumbling, and communication development. She believes that if Student has a service such as CART, Student will have a visual reminder of what she is hearing, to help with pronunciation and speaking clearly. She believes that Student will be more willing to participate in class discussions if she receives CART services, because Student will be aware of what others are saying around her. Solorzano testified that her own son (who has a cochlear implant) after he started using CART services, told her that he was surprised at how much talk goes on around him in class that he missed. 41. Although all the witnesses for both sides were credible and well-qualified, the District’s witnesses were persuasive on the issue of whether Student requires CART services in order to receive a FAPE. 42. Neither Hewitt nor Stika testified that Student needed CART services in order to gain educational benefit. Neither of them ever recommended CART services in a written report or even suggested CART services prior to or during the April 2009 IEP meeting. 43. In her April 1, 2009 report, Hewitt recommended, among other things, that Student have “consistent access to an FM system as needed” and preferential seating in class. She did not recommend that CART or any other type of transcription service be provided for Student in the classroom. At the hearing, she explained that she did not feel qualified to determine whether Student required a transcription service such as CART in class. 44. Stika testified that CART would be “appropriate” for Student, but never testified that the denial of CART services would deny Student a FAPE or that Student would be unable to gain educational benefit without CART. Stika also admitted that CART would not be useful for Student in social situations outside of class – for example, the CART service would not be used when Student was at lunch or outside with her peers. 45. Stika did not recommend CART or any other transcription service for Student in her 2007 assessment report and had never given the District any written, follow-up report recommending such a service. She admitted that her testimony at the hearing was the first time the District was made aware that she felt the service would be appropriate for Student. Stika also admitted that she had not observed Student in class since Student was in fifth grade, and had not attended any IEPs for Student or spoken to her teachers since that time. Stika’s recent contact with Student occurred about two weeks before the hearing, when Student’s parents brought Student to Stika’s office. Her testimony is not sufficient to show a denial of FAPE by the District. 46. The persuasiveness of Solorzano’s testimony is weakened by her opinions regarding the need for CART services to help with Student’s IEP goals. She opined that CART would help with three of Student’s IEP goals – the goals regarding articulation, mumbling, and communication development. 47. However, a review of those IEP goals shows that Student was, in fact, making progress on the goals.7 In the goal regarding communication development, the 2007 IEP called for Student to demonstrate comprehension of information, including classroom discussions, presented in the sixth grade curriculum. The 2008 IEP called for Student to demonstrate comprehension of the seventh grade curriculum. The April 20, 2009 IEP called for Student to demonstrate comprehension of information presented in the eighth grade curriculum. Although the structure of the goal in each case is the same, the focus of the goal advanced a grade level from year to year. Student was clearly making progress on the goals. 6 At Student’s request, CART services were provided during the hearing. 7 Student did not challenge the appropriateness of the goals in the 2009 IEP, so the evidence regarding the goals is relevant only as it relates to whether Student requires CART services to make progress on those goals. 48. Likewise, a review of the three IEPs shows that Student was making progress on her articulation goal. In the 2007 IEP, the goal called for her to correctly articulate final consonants (i.e. /s/, /z/, /ch/, /j/) and final consonant blends during oral reading and spontaneous conversation with 90 percent accuracy on 4/5 sessions. The 2008 IEP called for her to work on final consonants /s/, /z/ and consonant blends. The 2009 IEP present levels of performance noted improvement in “marking final consonants during spontaneous conversation, however, periodically needs prompting.” The articulation goal called for her to correctly articulate /r/ blends, /zh/ and final /z/ during oral reading and spontaneous conversation. Although the three goals were similar, they show a gradual progression from many missed final consonant sounds, to fewer missed sounds, to different missed sounds. Student was making gradual progress in articulation as shown by the goal progression. 49. The evidence also supports a finding that Student made progress on her goal related to mumbling. The present levels of performance in the 2009 IEP stated that Student “displays good overall language skills. Good ability to converse. No concerns with voice or fluency. Social skills have improved significantly.” In noting an area of need in communication development, the IEP stated, in part: “Continues to periodically speak at a rapid rate, mumbles and/or speaks using low volume when engaged in conversation.” In the 2007 IEP the goal called for Student to accurately report to her therapist her rate of speech and volume level. By 2008, the goal had changed to accurately monitoring and reporting to her therapist her rate of speech, amount of mumbling and volume level. By 2009, the goal called for her to accurately monitor her rate of speech, amount of mumbling and volume level during conversational activities in all environments. These goals show that progress was being made, as the goals progressed from reporting to a therapist to self-monitoring. 50. To the extent that Solorzano testified that Student needed CART to achieve her goals, Solorzano’s testimony is countered by the progress Student made on those goals. Her testimony does not support a finding that Student needed CART services. 51. The evidence supports a finding that, as of April 2009, Student did not need CART services to gain educational benefit or access her special education services. 52. In Student’s written closing argument, Student cited two events that occurred after the April 2009 IEP meeting. Student argues the events show that the District admitted Student’s need for CART services. As discussed in Legal Conclusion 3 below, an IEP offer is considered a “snapshot” in time, and knowledge that the District IEP team members gained after the meeting is not usually considered in determining whether an IEP offer constitutes a FAPE. Instead, the focus is on what was reasonably calculated to offer a FAPE based on the knowledge the District possessed at the time the offer was made. However, because Student raised questions of admissions and judicial estoppel, Factual Findings regarding those after-occurring events will be made. 54. In regard to your request, the District agrees to provide [Student] with transcription services during her academic classes, in the form of C-Print or Typewell methodologies, during the 2009-2010 school year. This proposal is based on [Student’s] present levels of performance, progress on her IEP goals, discussions at her April 20, 2009 IEP meeting, as well as the most recent assessments of [Student], including: 1. March 2007 Speech and Language Report by Amanda Davis; and 2. May 2, 2007 Psychoeducational Evaluation by Carren Jean Stika. 55. Student contends that this letter offering transcription services was an admission that Student needed such services. However, the evidence at the hearing did not support that contention. Helen Williams, who wrote the letter, made it clear during her testimony that the services were offered only as an additional service for Student – the District staff did not believe the service was educationally necessary. Although a district is required to provide a child with a basic floor of educational opportunity, there is nothing to stop a district from offering additional services. The evidence does not support a finding that the District’s August 2009 letter constituted an admission that Student required transcription services in order to receive a FAPE. 57. Student contends that this due process filing is an admission by the District that Student needed transcription services. However, Student’s position is not well taken. The language of the request makes no concession that the services were needed, but merely asks if they were appropriate. Further, a due process filing by a District made five months after an IEP meeting and after Student filed her own due process case, is not evidence of educational necessity for the service as of April 2009. It is simply not relevant to the issue of what the District IEP team members knew or should have known at the time of the April 2009 IEP meeting. 58. The evidence supports a finding that, as of the April 2009 IEP meeting, the District IEP team members reasonably believed that Student did not need CART services to gain educational benefit. At the time of the April 2009 IEP meeting, they knew that Student was getting mostly A’s in her academic classes, she was actively participating in class discussions, and she was involved with the ASB. She was fully accessing the general education curriculum along with her typically developing peers. Although it was likely that she did not hear every word spoken in class, she heard enough that, using her high intelligence and excellent verbal skills, as well as the FM system and other accommodations provided by the District, she was able to fill in the gaps of things she missed. The prior triennial assessment had not found a need for the CART service and the parents had provided no written expert report prior to the IEP meeting explaining the educational necessity for the service for Student. There was no indication that Student required that service to gain educational benefit or to access her special education. 59. The evidence supports a finding that the April 2009 IEP was reasonably calculated to provide Student with educational benefit based on the information possessed by the District at the time it was offered. There was no denial of FAPE. 5. Board of Education of the Hendrick Hudson Central School District v. Rowley (Rowley) (1982) 458 U.S. 176 [102 S.Ct. 3034] is the key United States Supreme Court case establishing the standards a school district must meet in order to provide a child with a FAPE. In Rowley, a deaf student with minimal residual hearing and excellent lip reading skills was placed in a general education kindergarten classroom. She was provided with an FM hearing aid to amplify the sounds spoken into a wireless receiver by the teacher or fellow students during class activities. She successfully completed her kindergarten year. Her IEP for her first grade year also called for placement in a general education classroom, with the FM system, instruction from a tutor of the deaf for one hour a day and a speech therapist for three hours each week. 11. The Rowley case was decided under the Education of the Handicapped Act, a predecessor to IDEA, but the general principles established in that case have governed special education proceedings since that time. The Ninth Circuit recently affirmed the continuing applicability of the Rowley standard for determining what constitutes a FAPE in J.L. v. Mercer Island School District (9th Cir. 2009) 575 F.3d 1025 (Mercer Island). Although the Mercer Island decision involved the version of IDEA in effect in 1997, the court’s reasoning would also apply to IDEA as currently written. 12. The facts of the instant case are strikingly similar to those in Rowley. Student is a deaf child who is mainstreamed in the regular education program. She is receiving outstanding grades, is advancing from grade to grade, participates in class, and participates in ASB functions. Just as the parents did in Rowley, Student’s parents are requesting an additional service, in part, because they are concerned that Student does not hear everything said around her by other children in class. In effect, they wish to maximize Student’s educational experience through the additional service. The holding in Rowley is directly applicable to the instant case. 13. Student contends that Rowley does not control in this case. Student first argues that Rowley is no longer the standard for determining what constitutes a FAPE under the modern version of IDEA. However, as discussed above, the Ninth Circuit recently recognized the continuing validity of Rowley, and Student’s argument in that regard is not well taken. 15. Nothing in those two subsections of Education Code section 56000.5 or any of the other subsections of that provision indicate a legislative intent to alter the Rowley standard or require a school district to maximize the educational potential of a deaf pupil. 8 Student’s written closing argument refers to this code section as 56500.5. However, presumably that is just a typographical error, and Student intended to refer to section 56000.5, just as Student did during the hearing. 18. If Student’s argument is correct, then California has two different standards for special education pupils – one for deaf pupils in which a district must maximize the child’s potential and another standard for all other special education pupils. Nothing in Education Code section 56000.5 or any other provision of the California Education Code warrants such an unprecedented finding. 19. However, even if Education Code section 56000.5 did create a new standard for education of deaf children, the evidence shows that the District met that standard with respect to the April 2009 IEP offer. Student’s mode of communication is speech and listening. In the general education environment, she has a “sufficient number of language mode peers with whom [she] can communicate directly and who are of the same, or approximately the same, age and ability level.” In addition, she has “direct and appropriate access to all components of the educational process, including, but not limited to, recess, lunch, and extracurricular social and athletic activities.” She participates fully in all school activities without the need for a CART service. The code section does not require a district to provide technology to allow a student to read every word spoken in class – it just discusses access to the components of the educational process. Student has that access. 10 Indeed, it is particularly telling that, even if a denial of FAPE was found, there would be no need for compensatory education – there was no educational loss which would require compensation to bring Student up to the level at which she should have been functioning. Student is functioning at or above her current grade level. 21. Student also cites to two OAH decisions involving other pupils in which CART services were ordered for the pupils. However, a review of those cases shows that they are factually distinguishable from the instant case. 22. In Student v. Glendora Unified School District (2007) OAH case number N2006110090, the parents of a high school student with a cochlear implant requested CART services for the student. The school district had provided accommodations and services to the student, including a sign language interpreter. However, that child was behind academically. She scored poorly in several areas of the standardized achievement testing, and scored below basic in language arts and math on the California standards testing. The only goal in the student’s IEP was for her to pass her classes with a C or better. Because the student was an auditory-oral communicator, the parents requested CART instead of the signlanguage interpreter. The ALJ found that the District had not offered a FAPE, in part, because of the lack of CART services (and because the single goal was not sufficient to meet the child’s unique needs). In addition to the student’s educational need for CART to remedy academic deficits, the ALJ found that the Education Code provisions required the school to respect the child’s preferred mode of communication (oral as opposed to sign language). 23. By contrast, Student in the instant case has scored well on standardized testing and is at or above grade level academically. The District has always respected her decision to use oral language and had provided accommodations such as the FM system that make it possible for her to excel in class. In addition, unlike the child in OAH case number N2006110090, Student is not in high school. There is no educational need for her to have a CART system to keep up with her middle school work. 25. In contrast to the child in case number N2007080893, Student in the instant case can hear both the teacher and at least part of what goes on around her in class. She is an active participant in class discussions and has maintained excellent grades and standardized test scores. She is active in ASB functions and is a leader among her fellow students. 26. The two Glendora cases are factually distinguishable from the instant case. In those two cases, the decision found that the child’s unique educational needs warranted the CART service. Here, there was no such need for the service, at least as of April 2009. Pursuant to Education Code section 56507, subdivision (d), the hearing decision must indicate the extent to which each party has prevailed on each issue heard and decided. In accordance with that section the following finding is made: the District prevailed on the sole issue heard and decided in this case. 11 Nothing in this Decision is intended to address any rights Student may have under Section 504 of the Rehabilitation Act of 1973 or under the Americans with Disabilities Act. Those two provisions are outside of the jurisdiction of this IDEA case. In addition, this Decision makes findings only as to Student’s needs as of April 2009, when the IEP offer was made.